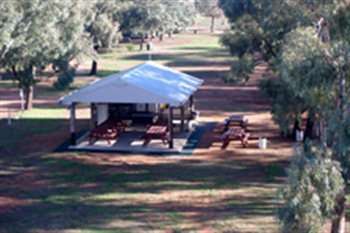 The Bushmans Rest Caravan Park is located on the foreshore of Lake Cullulleraine. It is a 40 minute drive from Mildura on the Sturt Highway. 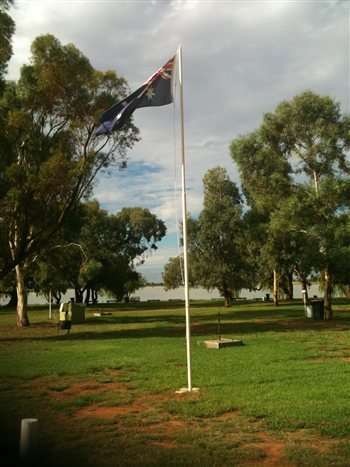 (Travelling towards Adelaide) This spacious park ,13 hectares, is nestled in a tranquil, shaded setting with lake frontage and large grassed areas suitable for tents, caravans and motor homes. A feature of the park is the variety of accommodation available ranging from large houses (3/4 bedrooms), smaller houses (2 & 3 bedrooms). There are 7 luxury appointed 6-8 berth cabins just 40 m across well-maintained lawns to the lake front. It is an ideal venue for family and group gatherings with a large camp kitchen available to support large numbers.There is also an historic hall with a new kitchen with all amenities available to hire. The beautiful lake frontage, the safe swimming areas, canoeing, boating and fishing combine to make Bushmans Rest the perfect getaway. Come in and see us. 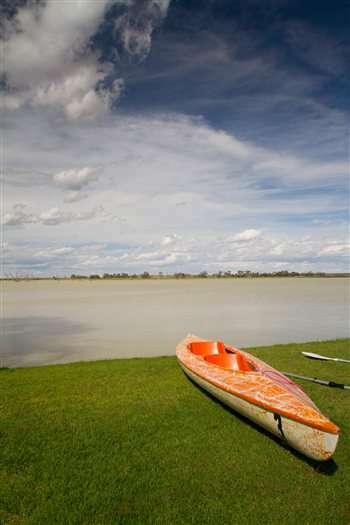 The Bushman's Rest Caravan Park is located on the foreshore of Lake Cullulleraine. It is a 40 minute drive from Mildura on the Sturt Highway. (Travelling towards Adelaide) This spacious park ,13 hectares, is nestled in a tranquil, shaded setting with lake frontage and large grassed areas suitable for tents, caravans and motor homes. Ideal for large gatherings with a new camp kitchen as well as an historical hall for hire. Set on the beautiful lake front, the safe swimming areas, canoeing, boating and fishing combine to make Bushman's Rest the perfect getaway. Come in and see us.